(10) 3" loose leaf rings. 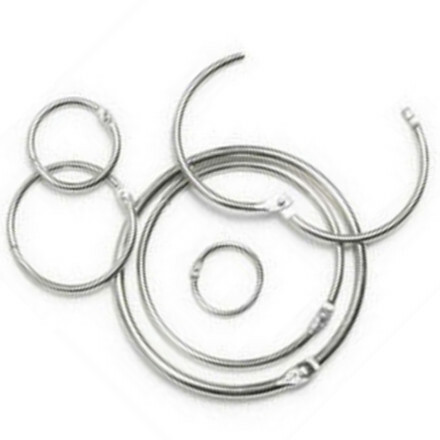 Loose-leaf rings are round nickel-plated snap hinged rings. These round rings have a locking mechanism that opens easily to add or subtract materials, yet locks securely once it is closed.